Technology and sports have intersected, arguably, since humans began to participate in the latter--when the first specialized gear and wooden goalposts were laced up and stuck in the ground on ancient playing fields. Modern fans, players and analysts are becoming familiar with the latest wave of technology to enter their stadiums--devices ranging from goal-line sensors in soccer to under-jersey vests that track biometrics to virtual reality devices that allow fans the visual experience of being in the stadium from their couch at home. But 2019 promises to be, as many have already dubbed it, the year of Artificial Intelligence. Here are several promising sports-related applications of the oft-covered technology. Shortly before Clemson defeated Alabama in the 2019 College Football championship, SportTechie reported that the digital assistant AI bot already installed at Levi's Stadium in Santa Clara would "guide fans around the stadium and feed them information about the game." The system will be accessible through College Football's fan app. According to the SportTechie post, the system, created by Statisfi Labs, was created for the primary patrons of the stadium--the San Francisco 49ers, and runs on game days during the fall season. Therefore it has already developed a "deep understanding of the stadium, parking, concessions, shopping, and the game of football itself." Statisfi is currently partnered with dozens of other stadiums and professional franchises across the country, including Mercedes Benz Stadium in New Orleans and the Philadelphia Phillies. Its assistants provide everything from concession stand recommendations to immediate polling, trivia games and contests for fans. NBC News recently described how AI and algorithmic analysis are used by professional teams to analyze potential transfer targets. Baseball, America's most number-heavy sport, is reportedly integrating AI into its scouting system to analyze the effectiveness of player mechanics such as a swing form and movement on the field. Basketball scouts use AI to understand interaction between players and their effectiveness in running certain plays. NBC reports that another key feature of the AI systems created by companies such as Brooklyn Dynamics and Sportlogiq is the ability to analyze a large number of players, evaluate specific mechanics and skills, and place them into a database with an overall ranking for scouts to access. A 2013 study from the journal of Sports Science and Medicine used AI to evaluate athletes' form as they performed weight training exercises. Force-sensing cables were applied to the equipment, and athletes were instructed to complete leg presses using the cable-outfitted machine. The study reported that the AI system provided "good performance and prediction outcomes" based on the data collected by the cables, and provided prompt feedback to the athletes as to how to improve their scores and form with regard to the specific exercise. The system was reportedly able to gather this information and make its suggestion through pattern recognition as well as data analysis. Other studies focused on mechanical analyses such as gait analysis using AI. As more data becomes available and reveals further player capabilities through devices such as the Reflexion Edge, AI systems may soon have more to analyze. The Edge is a six-by-two-foot portable LED touchscreen board. It works on preventative, assessment-based, and rehabilitative fronts by collecting data on the user's cognitive ability through short tests and storing it in an individualized user profile in an accompanying software system. Users improve their visual and cognitive abilities while simultaneously building a baseline of cognitive data to which future tests can be compared. If a user's scores decline significantly, an administrator is automatically notified. Professionals may also use the Edge to administer objective, trackable therapy to patients suffering from symptoms of traumatic brain injury. Detailed cognitive data, therefore, may soon factor in AI evaluations of players, and AI may eventually be involved in the assessment of injuries based on Edge scores. In an a post startlingly titled "AI Perfectly Predicted Last Year's Super Bowl Score. What Happens to Betting?" Dyllan Furness of Digital Trends provided an overview of AI's implications for the world of gambling, noting that a system produced by the startup Unanimous A.I had predicted the results of the 2017 Super Bowl correctly. The company also reportedly predicted the winners of the Kentucky Derby in their exact order. Furness notes that cracking the traditional luck-centered basis of sports gambling is often difficult because of a lack of data in sports such as tennis. He also concedes that there are factors outside the range of current AI capabilities and traditional statistics, such as team coherence, a lucky bounce, or a windy stadium, that can effect predictions. AI-producing corporations, however, are reportedly trying to take these factors into account by adding elements of human analysis to their primarily data-driven systems. Furness also mentions the effectiveness of using swarm intelligence, the combined knowledge or predictions of a large group of fans, for example, in his survey of AI's venture into the betting world. He cites one study that found a twenty percent increase in accuracy when soccer fans predicted Barclay's Premier League matches as a group to when they predicted alone. ESPN's Top Ten Plays compilers could soon be assisted by AI programs that can analyze hours of game footage and clip highlights that match preset criteria. "AI-powered algorithms are able to analyse every nook and cranny of every frame of video, making it possible for a sports production team to sift through a mountain of metadata and put together a montage of great plays in a few seconds," Adrian Pennington reported for the International Broadcast Convention. In short, these programs allow users to cut and compile crucial game highlights without the hassle of isolating and identifying each noteworthy play. Highlight app Reely followed this model to create its own editing software. Users upload an uncut video to its app interface, and the program detects and isolates highlight-worthy moments using neural networks such as object tracking, audio analysis, scene recognition and analysis through time. 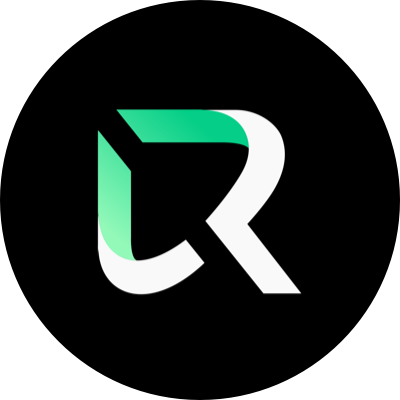 Reely's platform is also Esports compatible, and reportedly enhances content producers' ability to tag and track content, changing the way sports fans consume content and interact with their favorite teams.